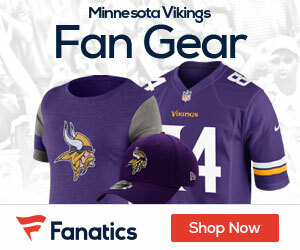 « Poll: Vikings vs Bills – Who Takes Home This Week Seven Matchup? 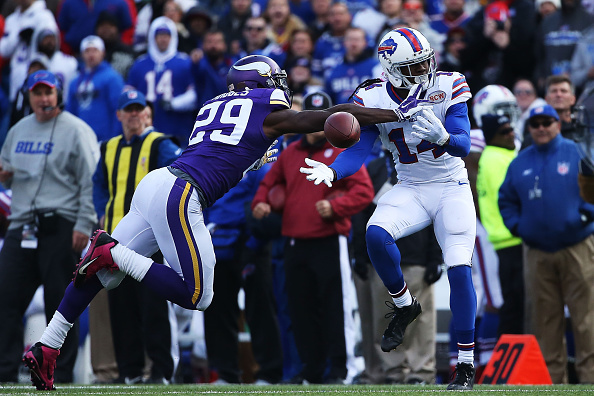 The Vikings seemed to have it all going their way, but then as good as they played on defense in the first three and a half quarters, their defense fell flat in the final seconds as the Bills topped the Vikings 17-16 in Buffalo. Kyle Orton broke the Vikings hearts, as he completed a 2-yard pass to Sammy Watkins in the left front-corner of the end zone with 1 second remaining for the win after the extra point. The stunning touchdown capped a 15-play, 80-yard drive that Orton extended by converting a fourth-and-20 with a 24-yard pass to tight end Scott Chandler over the middle. Three plays later, Orton hit Watkins on a crossing pattern for an 18-yard gain on third-and-12. The QB set up the decisive score by threading a 28-yard pass to Chris Hogan at 2 along the left sideline. Teddy Bridgewater’s third career start was average at best, as he went 15 of 26 for 157 yards with a touchdown and two interceptions as Minnesota (2-5) lost its third in a row. Cordarrelle Patterson had 4-yard touchdown catch, and rookie running back Jerick McKinnon had 103 yards rushing. The Vikings settled for three field goals by Blair Walsh on four drives inside the Bills 40. The Vikings D was very good for the most part, making it a tough loss. The D forced four turnovers (an interception and three fumbles) and had six sacks, including a career-best four by Everson Griffen. In the end though, the D failed when they needed it most, as Orton picked them apart, drove the 80 yards, and got the score to break the hearts of the Vikings fans. I got nothin’. Same s#*t, different year.